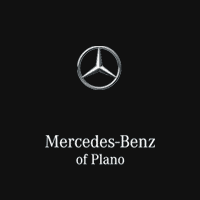 Whether you’re looking for Mexican restaurants in Dallas, TX or the best in fine dining, Mercedes-Benz of Plano has you covered. Explore our guide to the Dallas, TX food scene today! Meso Maya Comida Y Copas: For the best Mexican food in Dallas, TX, most locals turn to this centrally located institution. Consider the mole poblano enchiladas or pescado veracruz. They even offer a special menu for the Dallas Ft. Worth Restaurant Week, so be sure to stop by. Pecan Lodge: BBQ fans in Dallas know to turn to Pecan Lodge when they need meat. Be sure to try the “Pitmaster,” a sandwich with brisket, pulled pork, sausage, slaw, BBQ sauce, and fresh sliced jalapenos. They even offer catering for your next corporate event. Smithy: A popular new restaurant, this combination of an after-hours speakeasy and innovative New American restaurant offers lunch, dinner, and brunch specials. Try out their small plates including steak bruschetta and the popular crab nachos. Their kitchen is open late if you’re looking for a late-night bite. St. Martins: For an upscale dining experience, this neighborhood institution offers French-American food and live piano. Be sure to try the champagne brie soup and pan seared Chilean sea bass. It features on of the finest wine lists in town. Contact us today with any questions about the greater Dallas Ft. Worth area!